Pooing isn't always easy. Having kids, I have had my share of poo issues. Days of not being able to poo, and not pooing enough, can be painful. Squatty Potty is a stool you place under your feet when you poo, to help relieve yourself in a more natural way, making it less painful. Start with your Squatty Potty ® stored under the toilet. Take a seat. While sitting, pull the Squatty Potty® out to a comfortable distance and place your feet on the foot rests. Remember, the more you simulate a natural squat position, the better. 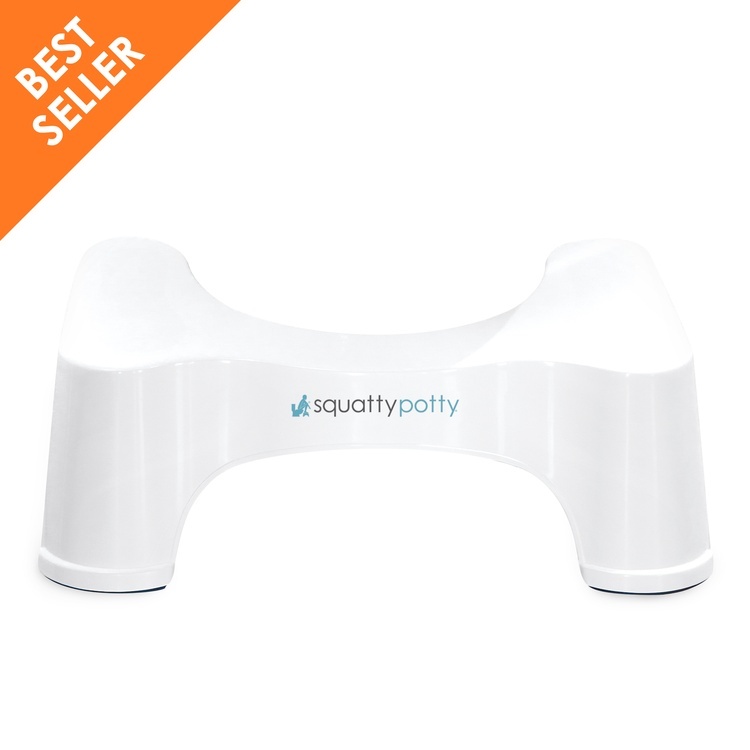 Squatty Potty comes in different shapes and sizes for different sized toilets and people. You can check out all of them here. While you are purchasing your Squatty Potty, don't forget to pick up a bottle of Unicorn Gold which you spray into the toilet before you poo, so your poo doesn't stink...no one likes stinky poo! 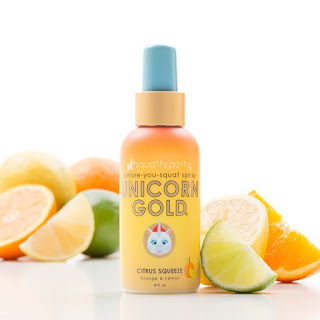 Unicorn Gold is available in a variety of scents, you can check them out here. Unicorn Gold is a ‘before-you-squat’ potty spray. Combined with essential oils and real gold nanoparticles, this non-toxic formula traps bathroom odors deep beneath the surface of the toilet water and leaves a brisk citrus aroma in its place. Unicorn Gold magically turns your “business” into nothing more than a stroll to the end of a freshly-fallen rainbow.